This patient had a narrow arch, protruding front teeth and a large gap. 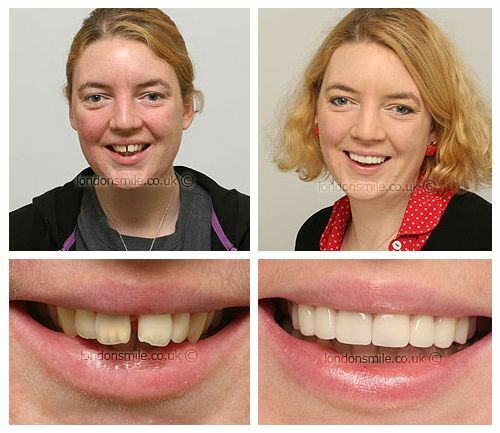 Porcelain veneers were used to close the gap, widen the smile, reduce protrusion and create a pleasing new smile. My teeth were making me severely under confident – as well as protruding, they were stained/dark in colour from my smoking days. I also had a huge gap. Being terrified of dentists I did not think it would be possible to fix them. My partner Doug encouraged me to face my fears and after looking on the website I made a vow to come in! From the outset, I have been treated like a human being. 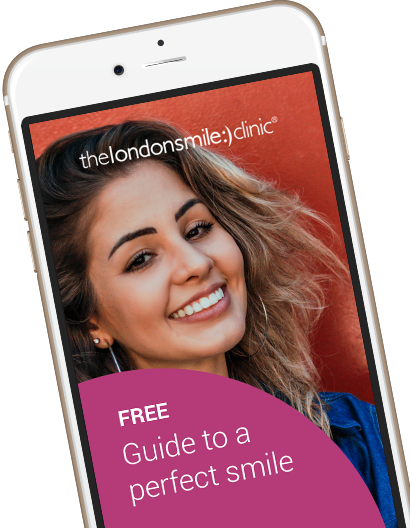 Changing your teeth and smile is a very emotional process. All the treatment was clearly explained and every single question I had was answered. You are in the hands of caring professionals and the DVD headsets help to take your mind off of treatment. I am so happy with the result. I never in my wildest dreams imagined I could have a smile like this. It’s so natural and not “Hollywood” as some friends had feared. I must stop smiling at strangers though! Definitely, the technology has moved on massively since the days of the school dentist, no one I work with could believe how fast the transformation was. It has given me the confidence to be me. No more “mouth closed” photos or subconsciously putting my hand over my mouth.